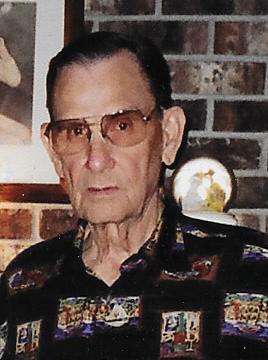 Willie James Smith, Sr., 92, passed away on Wednesday, July 18, 2018 at his home. He was born December 17, 1925 to George James Smith, Sr. and Mary Alice Smith. He was a veteran of the US Army, serving from April 1944 to January 25, 1946. He received the purple heart on Apil 26, 1945 in Kestunich, Germany. He was a member of the Carl Lee Hill, Jr. Post 504 American Legion and a lifetime member of VFW Post 2771 all of Kinston. Willie was preceded in death by his parents, his wife, Edna Earle Smith, son James Dallas “Charlie” Smith and daughter, Lynn Davis, siblings, Mable Hill, Mary Helen Holland, Elsie Rouse, Ray Smith and Dee Smith. He is survived by daughter, Lou Ellen Smith and special friend David Quinn; sons, Roger Smith and wife, Emily, Willie James “Bill” Smith, Jr. all of Kinston; grandchildren, Paul Avery and wife, Joy, Jeb Smith and wife, Nikki, Allen Smith and wife, Amie, Candi Webb, Dallas Smith; great grandchildren, Lauren Avery, Brandon Avery and wife, Anna, Jessica Howard, Landon Smith, Nash Smith, Walker Smith, Rebecca Webb, Victoria Webb, Briley Smith, Ryder Smith and one great-great grandchild; sisters, Thelma Barrow and Mazell Cauley and husband, David; brothers, Edward Smith and wife, Mary Etta, George Smith, Jr. and wife, Gail, Johnny Smith and wife, Maxine and many nieces, nephews and friends. Visitation will be held Sunday, July 22, 2018 from 12:30 to 2:00 pm with services to follow at 2:00 pm with Pastor David Cauley officiating at Howard-Carter Funeral Home. Burial to follow funeral service at Pinelawn Memorial Park. In lieu of flowers contributions may be made to Carl Lee Hill, Jr. American Legion Post 504, 2590 Dogwood Lane, Kinston, NC 28504. The family wishes to thank all of Willie’s caregivers.